Take a moment to look at your diary. Circle this Sunday’s lunch. Then send an email to your nearest and dearest, and tell ’em all that you’re organising a lazy luncheon at David’s Country Shanghai in Prahran. 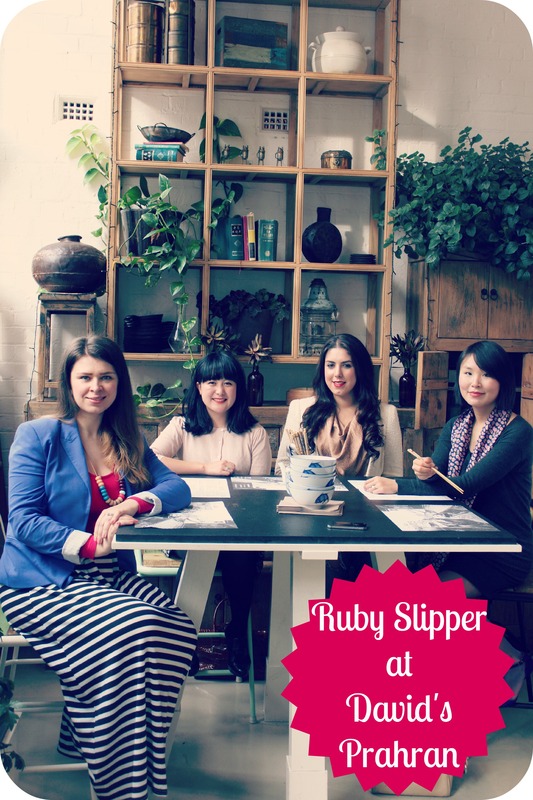 When I went about organising a blogger’s luncheon at freshly-renovated foodie favorite David’s, anticipation amongst fellow writers Cheryl Business Chic, Stasia Fox, Cecylia and the Sarah’s of Style Emporium and Little Miss Melbourne was palpable. 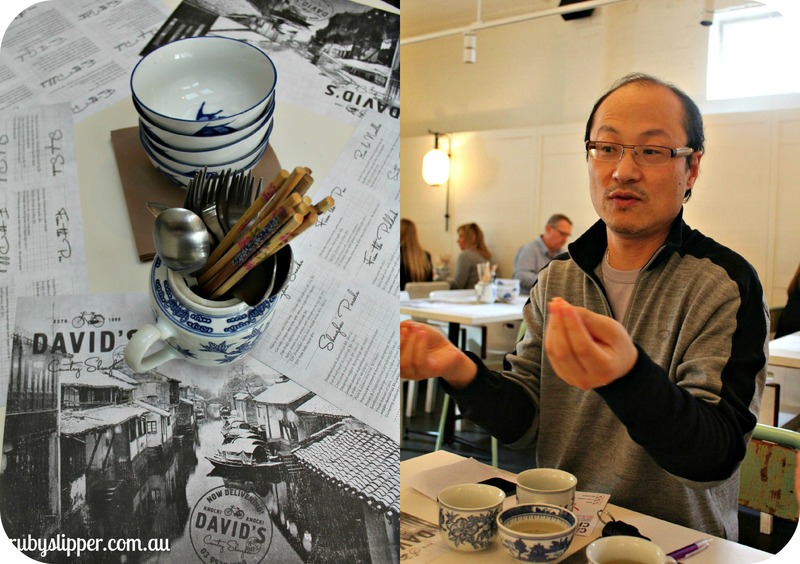 Having previously heard David Zhou (proprietor and eminently kind host) talk on the benefits of tea to health at his Oriental Tea House venue in Melbourne Central, I knew we were in for a treat. 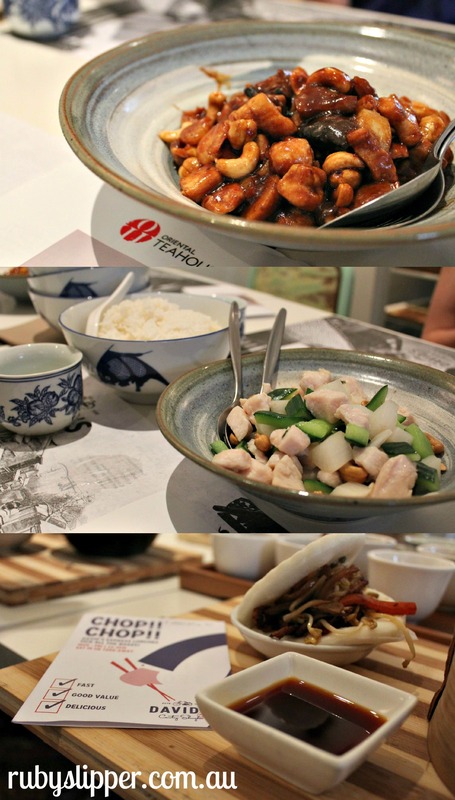 And with their nifty new ‘Chop Chop’ menu on show, you’ll surely be in for a treat soon too. 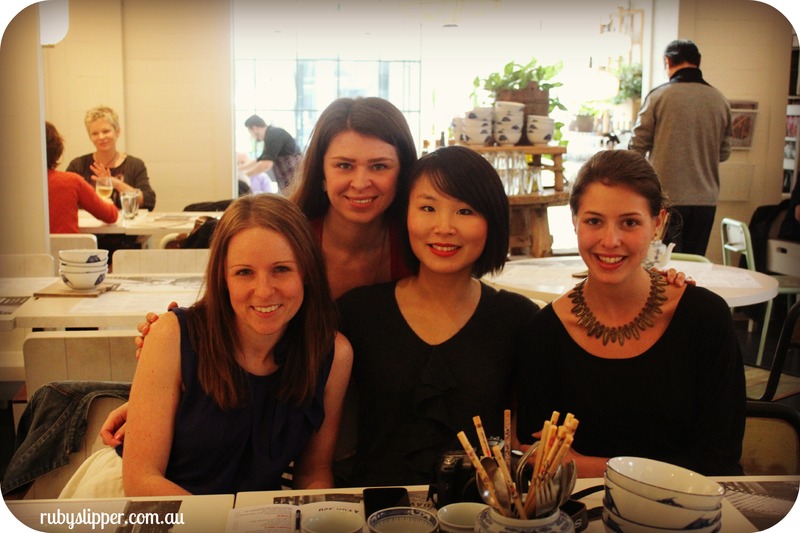 David’s Restaurant has been a fixture on the yum cha scene in Melbourne since 1999 – offering country style traditional Shanghai cuisine presented unlike any other establishment in town. Having recently undergone a beautiful fresh renovation – all white wicker chinoiserie, glowing lamps and oriental shabby chic – David’s is well worth revisiting. The man himself (inset above, right) sat down and chatted with us, talking us through an array of the teas on offer with matching dishes. ‘Diamonds and Roses’ was my favorite drop – find this at David’s other biz, the Oriental Teahouse. 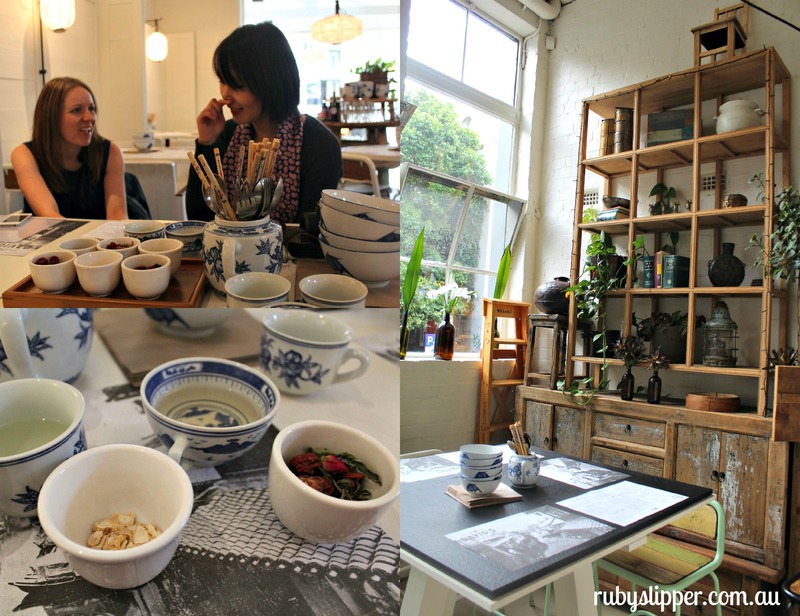 Tea, tea and more tea: raw elements match the brew in our tea-tasting and education session. It’s all GOOD! I recommend in particular the Chop Chop!! menu, which guarantees, fresh, zingy, tasty fare delivered to you in a jiff. I enjoyed a peking duck roll, chicken dumplings and divine white chocolate and coconut dumplings for dessert. Extra good news about your impending luncheon/dindins chez David’s: If you’re too lazy to leave the house, David’s deliver southside 03 9529 5199 – they even charge you 15% LESS than eating in. Dining in, find David’s Restaurant at 4 Cecil Street, Prahran.